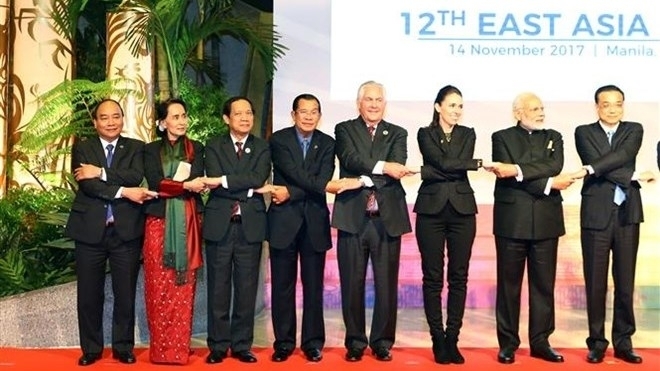 Vietnamese Prime Minister Nguyen Xuan Phuc on November 14 emphasised cooperation orientations for East Asia while speaking at the 12th East Asia Summit (EAS 12) with eight partner nations in Manila, the Philippines, as part of the 31st ASEAN Summit and related meetings. PM Phuc said the Association of Southeast Asian Nations (ASEAN) as well as other countries in the world are facing numerous challenges, including terrorism, violent extremism, nuclear proliferation, cyber security and maritime security. He shared his concerns over the situation in the Korean Peninsula, particularly recent ballistic and nuclear missile tests by the Democratic People’s Republic of Korea (DPRK), threatening peace and stability in the region. In that context, the PM urged the involved parties to increase dialogues and practical cooperation; build an open, balanced, transparent and rule-based regional architecture; promote the EAS’s role in addressing regional challenges. 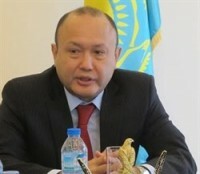 He welcomed the EAS to bring marine cooperation into a new priority field. 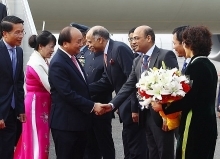 Regarding the East Sea issue, PM Phuc reiterated ASEAN’s stance, including principles stated in the Joint Communiqué of the 50th ASEAN Foreign Ministers' Meeting in August 2017, which are ensuring security, safety and freedom of navigation and aviation in the East Sea; addressing disputes via peaceful measures in line with international law, including the United Nations Convention on the Law of the Sea 1982 (UNCLOS); not using force and militarising; fully respecting legal and diplomatic processes; and implementing comprehensively and seriously the Declaration on the Conduct of Parties in the East Sea (DOC) and soon reaching a Code of Conduct in the East Sea (COC). The PM welcomed ASEAN’s and China’s adoption of a framework for the COC in August and stressed the need to promote negotiations for a feasible, legally binding COC in accordance with international law, including the UNCLOS, to maintain peace and stability in the East Sea in the long run. At the summit, the countries discussed strategic issues related to politics-security and economic development in the region. They agreed to promote cooperation in various fields and increase the role of the summit, especially in the formation of an open, balanced, transparent and rule-based regional architecture. Leaders agreed to supplement marine cooperation as a new priority field of the EAS in order to strengthen collaboration in sharing information, scientific research, and marine environmental protection in addition to coping with non-traditional security challenges at sea such as piracy, armed robbery, transnational crime, maritime pollution, and navigation accidents. They called on countries to enhance cooperation in order to cope with challenges such as terrorism, violent extremism, trans-boundary matters, cyber security, human trafficking and climate change. The leaders exchanged views on regional and international issues and expressed concerns over recent developments in the Korean Peninsula, the East Sea and Myanmar’s Rakhine state. At the event, the leaders agreed to adopt declarations on anti-money laundering and countering the financing of terrorism, preventing the spread of terrorism and chemical weapons, and cooperating to reduce poverty. 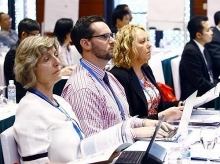 The EAS brings together ten members of ASEAN (Brunei, Cambodia, Indonesia, Laos, Malaysia, Myanmar, the Philippine, Singapore, Thailand and Vietnam), and the bloc’s partners, Australia, China, India, Japan, the Republic of Korea, New Zealand, Russia, and the US.